It takes combining the right elements on a daily basis to make a business last for over 40 years and this is no easy feat in the fashion industry. Yet, mother and daughter team Carol and Barbara managed to put together the right ingredients for their family-run womenswear business, Harts of Monmouth that saw the business go from strength to strength for the past four and a half decades. 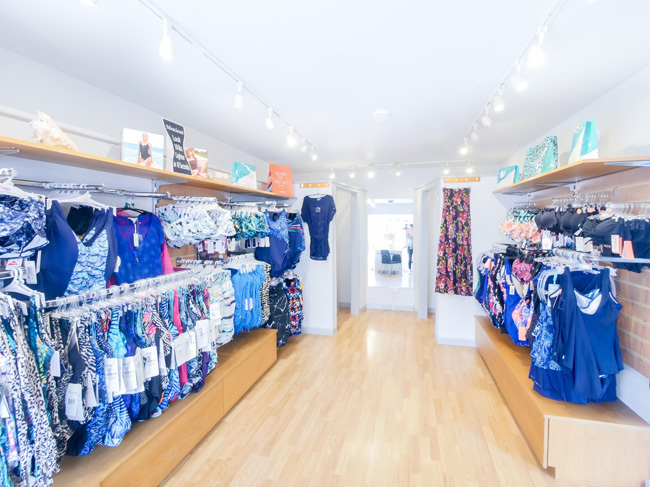 Located in the bustling Welsh market town of Monmouth, aptly named Harts of Monmouth specializes in women’s clothing, accessories, swimwear and lingerie, exhibiting an undeniable passion for offering informative bra fitting consultations for ladies who are keen to make use of this service. Today Carol Davies and her niece Carrie Francis shoulder the responsibilities of the business, still keeping it all in the family and carrying on the legacy that started in the early 70s. 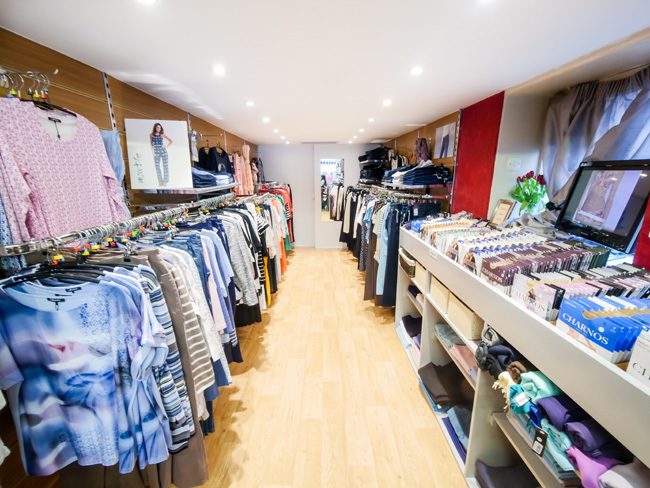 And although warm, friendly service, highly trained and motivated staff and stocking some of the most reputable and renowned brands on the market is still a winning combination for Harts of Monmouth, Carol and Carrie also believe that their adaptability to socioeconomic forces has helped to keep the business undergirded. In the following interview Carol and Carrie share with us the endearing story of Harts of Monmouth, an enduring family business. Carrie, Carol, could you tell our readers who might not be familiar with your boutique what Harts of Monmouth is all about? We are a family owned and run independent ladies fashion store selling clothing, swimwear and specialising in fitting quality lingerie. Our aim is to provide everyone with excellent customer service and to find anyone who wants one a perfectly fitting, comfortable bra. Forty years in business is a huge accomplishment (congrats!). Could you tell us a little bit about how the boutique started? Carol purchased the shop along with her mother Barbara in 1972 from Mr Hart. They took over the running of the business nurturing it and growing it in to what it is today. Barbara’s granddaughter, Carol’s niece, Carrie joined the business over 10 years ago keeping it a family affair once Barbara retired. To what do you attribute your boutique’s success? Keeping a vigilant eye on the changing trends and adapting ourselves accordingly has allowed us to stand the test of time but the true reason for our success is a friendly, informative and professional team of staff whose top priority is always to give the very best customer service. What have been some of the high points in Harts of Monmouth’s history? Forty-five years has been a long time with many high points but I think if I had to name one it would be our 40th party in 2012. It was so heart-warming to see so many of our loyal and regular customers popping in to congratulate and celebrate with us and wish us well for the future. Fit is an important priority for your boutique, could you tell us a little bit about your Bra Fitting Seminars? How do they work and what do they cover? Years ago Barbara visited some of the local Women’s Institutes talking about the importance of a well-fitting bra but over the last few years, Carrie along with one of our key staff members Georgina, has started them up again with a real passion for making it fun and informative. They start with a brief history of underwear, leading on to a fitting talk and live demonstration, a fun ‘feely’ box game and ending with a quick fire Q & A. We have obviously got the combination right now as over the last few years we have had an average of two talks per month with more and more bookings coming from recommendations from other groups. Also, the addition of Dawn to our staffing team gave us a contact in to the local girl’s school where we visited the boarders to give a slightly adapted version of the talk followed by fittings for anyone who wanted one (nearly all of them), allowing them to see what a correctly fitting bra should look and feel like. Why is it important for the boutique to partner with local schools, Women’s Institute and other organizations? We strongly believe that one of the most important things in a woman’s life is to be comfortable and this starts with her underwear. A well-fitting bra can change a woman’s life not only by making her comfortable but by improving her posture, changing the way her clothes look and giving her the very best support. We want to spread the word throughout the local area and beyond and what better way to do this than through women’s groups. The statistic that 80% of women are in the wrong bra size is shocking and we would like to see that reduced therefore we feel it’s important for a woman’s bra fitting journey to begin early. This is why we are hoping to visit as many schools as possible in the local area to encourage young girls to have proper fittings and wear correctly fitting bras, therefore setting them up for life in the right size. Getting back to the boutique, could you walk us through what a customer experiences walking through your door for the first time? Our customers are greeted with a smile and friendly hello. Downstairs we have a ladies clothing and swimwear department. 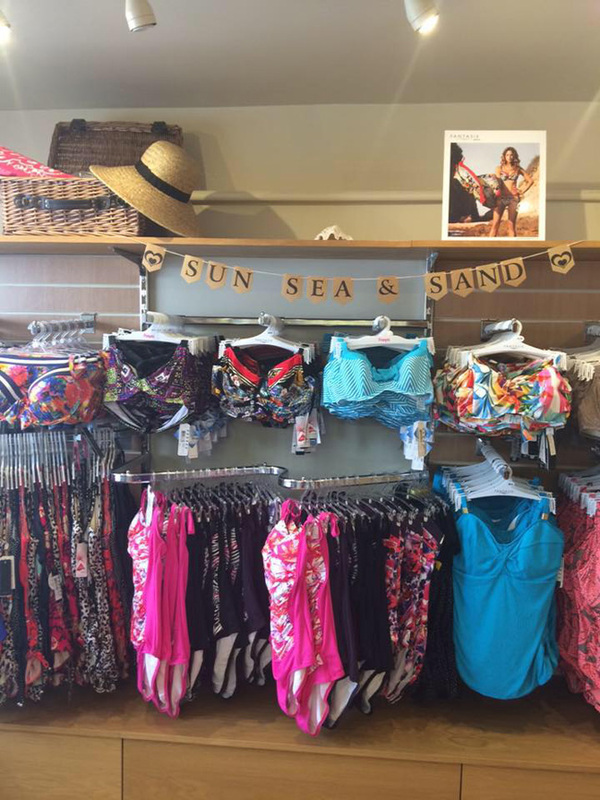 The swimwear is in store all year round and we stock chlorine resistant pool suits from Tweka and Zoggs; cup sized suits, bikinis and tankinis from Fantasie, Freya, Pour Moi and Prima Donna and the fabulous suits from Miraclesuit. Upstairs we have what many customers describe as an Aladdin’s cave of lingerie from top brands such as Prima Donna, Marie Jo, Fantasie, Freya, Lejaby, Chantelle, Triumph and many more. When a lady comes in store for new lingerie we want her to feel at ease with the fitting experience and our main aim is find her the perfect fit and style to enable her to be comfortable and supported. We’d love to know more about the Harts of Monmouth team, could you give us an overview of the team? Carol has been the owner and manager for 45 years this year. 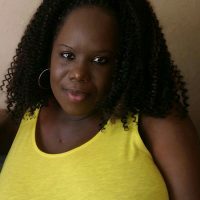 She works four days a week and as well as her many years of experience in store she has been on various training courses including a mastectomy and nursing course. Carol has always been in charge of the buying for the shop with the help of her mother Barbara in the beginning and now her niece Carrie. Carrie joined the family business as a Saturday girl when she was 16 becoming full time at 19. 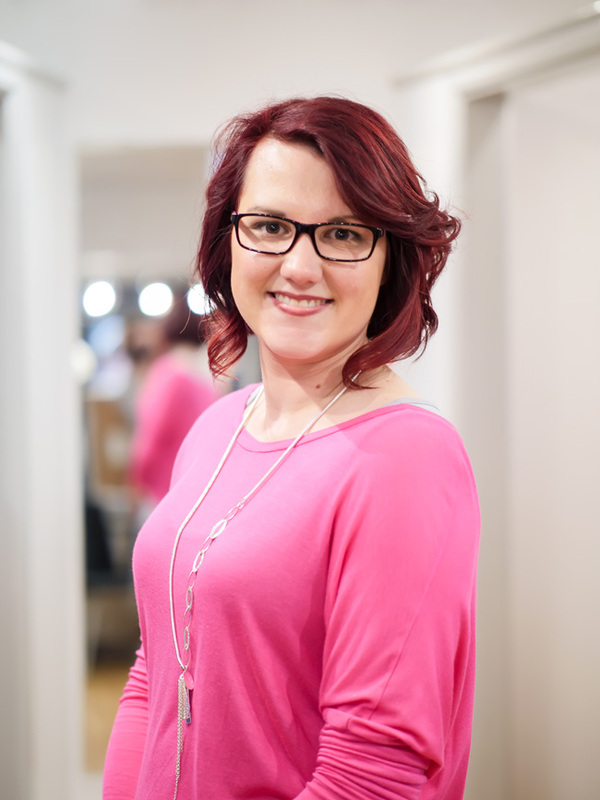 Carrie now has over 10 years’ experience as well as various training courses including a specialist mastectomy and nursing course. As well as the family we have seven part time staff who are all fully trained in bra fitting. Our staff members vary in both age and experience with Geraldine being our longest serving employee at nearly 30 years! Marjorie has been with us for 15 years and Georgina for over 5 years. Dawn, Gillian, Jamie and Sabira have only recently joined the team but have settled in well and we could not image life without them now. Our staff are very important to us as they are the beating heart of the business. They represent us to each customer and we could not have achieved the success we are experiencing today without them. How is the boutique adapting to changing consumer habits like online shopping and social media? We have active social media accounts on Facebook, Twitter and Instagram but focus mainly on Facebook as this is where our target customer is using social media the most. Over the last 12 months we have focussed more on social media and less on print advertising as it is more instant and helps keep you in people’s minds. It also allows us to share up to date information as well as our latest blogs which cover everything from new arrivals to personal profiles, tips and advice. As for online shopping we strongly believe our [Unique Selling Point] USP is fitting therefore we do not sell online. We do however have a website that acts like a shop window with all our current stock on, information about what we are doing, what will be arriving soon and much more. We are more than happy to do sales over the phone which allows us to have a personal experience with the customer but we would always recommend ladies go in to their nearest local independent store for a professional fitting rather than just buying online and making do. What do you see as the biggest challenges facing both retailers and brands in the next few years? How do you see Harts of Monmouth adapting? I think the recession was a huge challenge that saw consumer habits change as people tightened their belts and tried to reduce their spending but we have seen this change again over the last 12 months with people more willing to spend their money on good quality items that will last. You never know what the future holds but the way to stay on top is to keep your eyes open, adapt quickly and keep costs down where you can without affecting the quality of service you can offer. What are some current bestselling brands at the boutique? We stock a huge variety of brands and each has its own niche. Royce is a fabulous British brand that caters for the non-wired market with many mastectomy styles. Fantasie is one of our core fitting brands with their side support shape being an absolute winner in the fitting room. Prima Donna provides the ultimate in comfort, fit and support with a loyal customer base who are very brand loyal. The Panache sports bras are also winners for us, selling to a wide variety of ladies for several different needs. Our newest brand Wacoal is also proving to be a best seller, especially their Halo lace bra.